Cleated footwear comes without arch support or cushioning element. Many players experience foot & ankle problems, stud pressure, knee pain, plantar fasciitis or simply discomfort, CLEATPRO is designed to significantly increase fit, support & control, reduce pressure & fatigue by providing increased foot contact & improved stability inside the shoe, which may help to reduce or prevent injuries & pain. 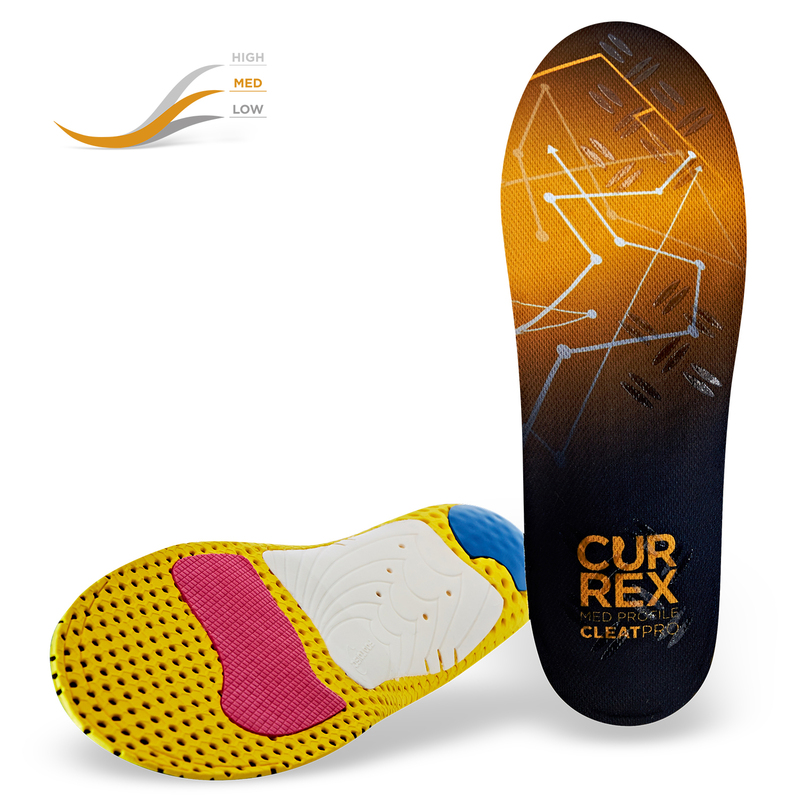 SUPER GRIP anti-slip technology reduces slippage. Designed by leading German sports scientists, CLEATPRO boasts a different shape, arch height & flex, allowing for a customized fit for your unique foot shape. CLEATPRO is designed for players of all level & ages.